Turn Gold into Platinum - Customized Benefit Solutions, Inc. 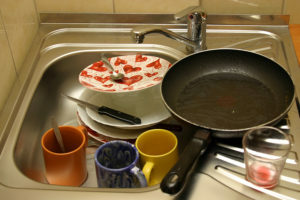 Customized Benefit Solutions, Inc.
One day early in my marriage, I returned home after a tiring day of work ready to relax, but instead found dirty dishes piled in the sink. 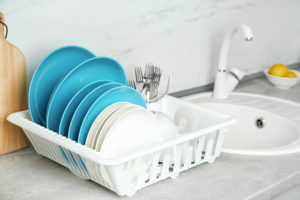 I remember thinking, “If I were home all day, I would never leave dirty dishes for my wife to clean after she had worked all day.” These leftover dirty dishes bothered me for years as an inconsiderate gesture. Then I finally realized that if my wife had come home to a sink full of dishes thatI had left, she really wouldn’t care. She would simply clean the dishes continue with her day. Now let’s imagine an HR Director works tirelessly (including overtime) to put together a plan for employees to allocate the companies 25% health insurance increase. She negotiates back and forth with senior management and the carrier to get all of the details just right. Proud of her accomplishment, she announces the success of the company at an employee-wide meeting, putting special emphasis that the employees’ paychecks will benefit as a result. Instead of high-five’s from the employees, their first question: “Is this all we get?” because the employees got an increase of five dollars a week to their paycheck. This happens in all phases of life and in all types of jobs. As self-centered beings, we typically value situations from our perception and not from the perceptions of others. My mentor, Loida Noriega-Wilson of The Norwil Group, pointed out that we judge others by their actions (“This is what you did”) but we judge ourselves by our intentions (“Well, this is what I meant”). Often, we talk about the “Golden Rule,” which is to “treat others the way you want to be treated.” But the truth is, the “Platinum Rule” is where it’s at. The Platinum Rule states that “we should treat people the way they want to be treated.” The Golden Rule focuses on me. The Platinum Rule focuses on others. It isn’t easy – It’s a difficult journey. It is tough to know what others want because we view situations through our own eyes. It takes time – we must get to know others and what they want. Forget being right, focus on being kind. Can you imagine the positive impact, if you spent the effort to learn what your employees wanted and applied the platinum rule? How do you think satisfied employees would treat the customers when you are not watching? Do you believe productivity would increase? Turnover would decrease? 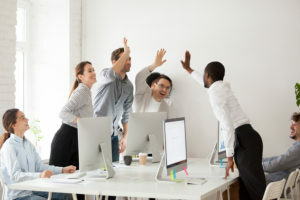 What would be the impact to employee satisfaction? And what if many businesses followed suit, could we reduce the incidence and risk of workplace violence? I recently watched a TV show that illustrated the impact of road rage. At its core, road rage is two people thinking they are right. The program featured a woman who ran over a motorcyclist in a rage and killed him. She was imprisoned for her actions. Often, our need to be right doesn’t go that far but it does cause damage. Martin Luther King said, “I’d choose love.” As for me – I have also decided to stick with love, for I know that love is ultimately the only answer to humankind’s problems. Tonight, I’m going home and cleaning the dishes that are in the sink – and moving on.